In the Indian sub-continent, during the month of October and November the sun is gradually moving towards south weakening the monsoon trough or low pressure trough over the northern plains. As the south-west monsoon winds weaken and start withdrawing, the low pressure trough is gradually replaced by the high pressure-system. During this period of transition from the hot and humid rainy season to the dry winter conditions, the day temperatures are high while the night are comparatively cooler and pleasant. As the land is still moist and the weather becomes rather oppressive during the day, this transition is known as the October heat. October heat begins with the hot and scorching heat in the day with cold chilly nights. It is this inconsistency in the weather conditions that greatly affect wellbeing resulting in ailments. 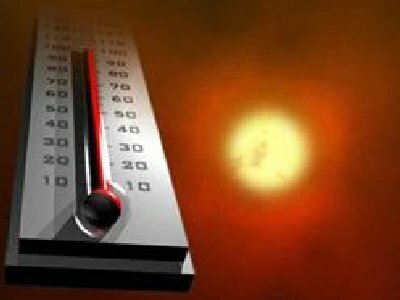 Busy preparing for the winter not many take necessary precautions to beat the October heat. This is one of the major reason people tend to fall sick during the month of October and November. Heat stress is one of the chief concerns during October that is the direct cause of many heat-related maladies including heat exhaustion and heat-stroke. Heat stress is related to increase in spreading diseases especially climate-sensitive waterborne and diarrhea disease. The sultry weather during the day causes a major imbalance in the electrolytes of your body that makes you rush to the doctor. Simply put, this refers to a disturbance in the level of electrolytes like calcium, sodium, and potassium that is essential for normal functioning and well-being. The disproportion in the body is due to the fluctuating temperatures, which is also one of the reasons that keep the virus active. The erratic temperatures result in excessive perspiration, weakness and body pain; seasonal flu is also on the rise during this time of October. Though the sun rises after the cloudy and rainy monsoons and one wishes to get out in the sun extra care needs to be taken to shield from the ill effects of October heat. One of the best ways to clout the October heat is to drink plenty of water; you can drink electral powder mixed in water to maintain the electrolyte levels in your body. Stay indoors during peak sunny hours and this does not mean you stay put closed in your rooms for long. Just stay aerated and hydrated and you are ready to take on the day. Wear light-colored clothes during the day but don’t forget to carry a warm sweater or jacket if you are often outdoors in late evenings. One of the best ways to stay fit during this unpredictable weather change is to remain physically active. Go for a walk in the mornings or evenings or indulge in a sport of your choice, but do compensate for the water loss especially if you sweat profusely. Next Next post: A Tile for a Smile – How we did it at Savetime?